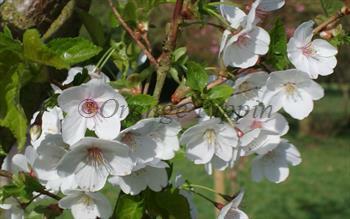 Snow Goose is an attractive flowering cherry tree, characterised by its particularly large single white flowers. The green leaves turn orange in the autumn. Snow Goose grows with a fairly compact vertical habit, making it a good choice for small gardens. Please fill in the details below and we will let you know when Snow Goose flowering cherry trees are back in stock.